Choosing just four cars that brought some new level of innovation to the car industry may seem like an impossible task - the nature of automotive engineering involves the brightest minds continually pushing the boundaries to make things faster, more efficient, more enjoyable, and simply better than before. However, the task becomes a lot easier when you look beyond mere innovation to revolution; to the feats of ingenuity which changed the way things were done forever. That's how you achieve legendary status, and these four cars did just that. 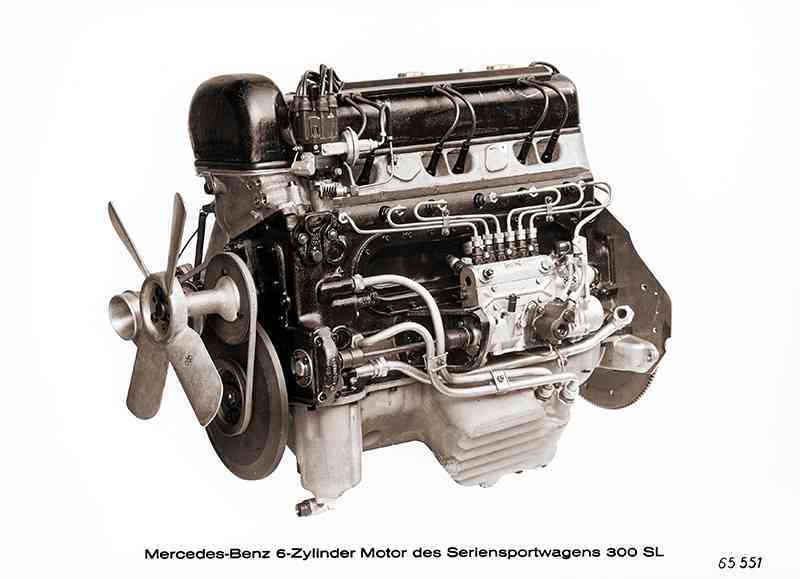 To make up for an engine that was relatively underpowered compared to those of its rivals, Mercedes had to get inventive with the design of its W194 race car. Its engineers created a tubular chassis making it extremely light, but race rules required cars to have two permanent doors which allowed access to the front seats. Fitting them in the conventional way would have compromised the strength of that lightweight frame, so the doors were hinged at the roof, creating a striking 'gullwing' configuration. Mercedes also used its aeronautical knowhow to create an extremely smooth, aerodynamic shape - even using raised 'eyebrows' above the wheel arches to reduce drag. The results were extremely positive: the W194's first outing was a second place in the famous Mille Miglia endurance race, and race wins soon followed. By the time it won Le Mans, people in racing circles were really taking notice of the W194. Yet race fans were not the only ones eyeing up Mercedes' latest creation. While the W194 tore up the tracks and street circuits of Europe, one man in New York was having a brainwave. Max Hoffman, Daimler-Benz's official importer in the USA, believed that a road version of the car would be a hit in the affluent post-war American market, and managed to persuade Mercedes to build one. 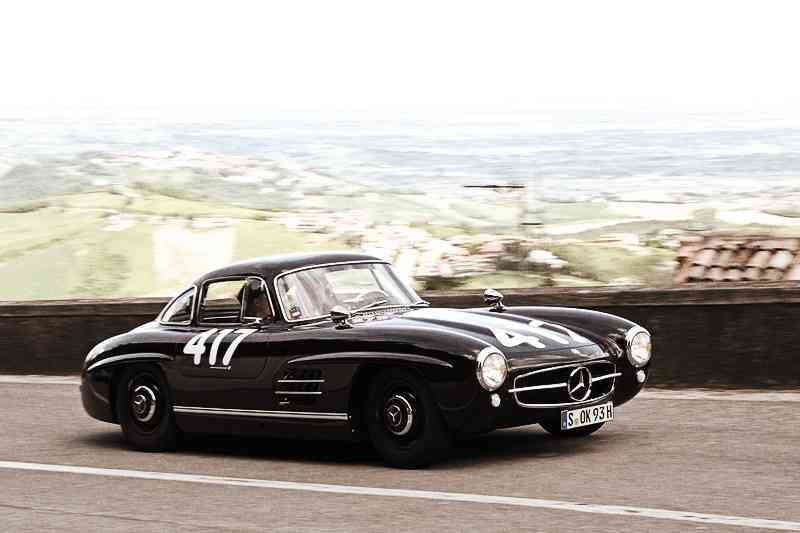 The result was the Mercedes 300SL, a truly remarkable piece of engineering. The 300SL (SL standing for Sport Leicht, or Sport Light) was a stunning car, and totally changed the US perception of Mercedes-Benz as making efficient yet dull vehicles. This was a proper sports car with sleek design which really caught the eye, and when those gullwing doors opened, you could expect the jaws of passers-by to part in similar fashion. Yet it wasn't just the body which was fresh and exciting; underneath the bonnet, the 300SL had something else which would create a step-change in automotive engineering. In this new model, Mercedes used the same 3.0-litre straight six engine as in the 300 tourer, a car accustomed to ferrying dignitaries and rich folk around town in style. 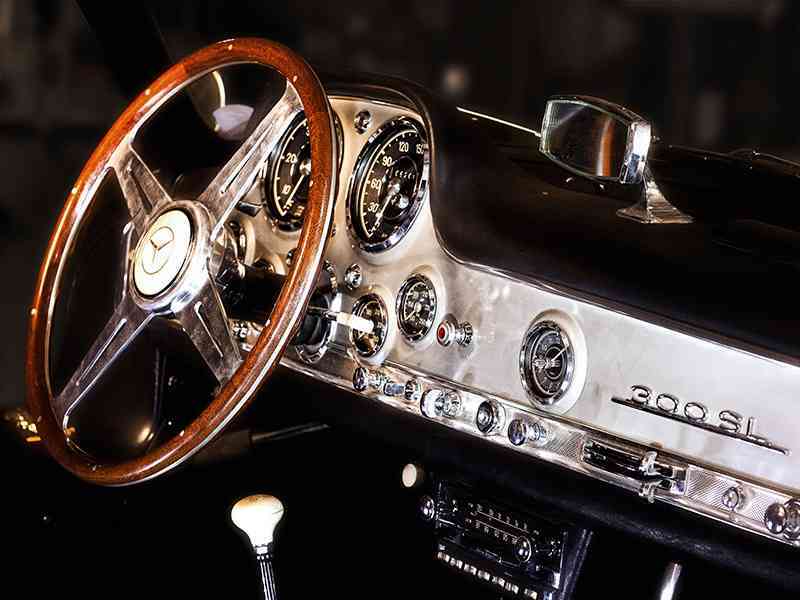 But the 300SL engine had one important upgrade: Mercedes developed direct-injection technology for use in fighter jets, but the Bosch mechanical gasoline direct-injection system used in the 300SL was the first of its kind to go into a consumer car. A carburetted engine relies on suction from intake air to draw the fuel into the cylinders, which means some of the energy released by the fuel can be lost. Direct injection places the pressurised fuel directly into the cylinders, unleashing more power from the fuel into moving the pistons. This fuel-efficient model meant that the 300L got more power from its fuel and reduced throttling losses. The direct-injection system doubled the power of the original engine, and combined with the lightweight chassis, the 300SL was fast. Really fast. In fact, it could reach a top speed of 161mph, which in 1954 made it the fastest production car in the world. The combination of speed and beauty proved Hoffman right, and 1,400 cars were sold in the US - a very pleasant surprise for Mercedes. 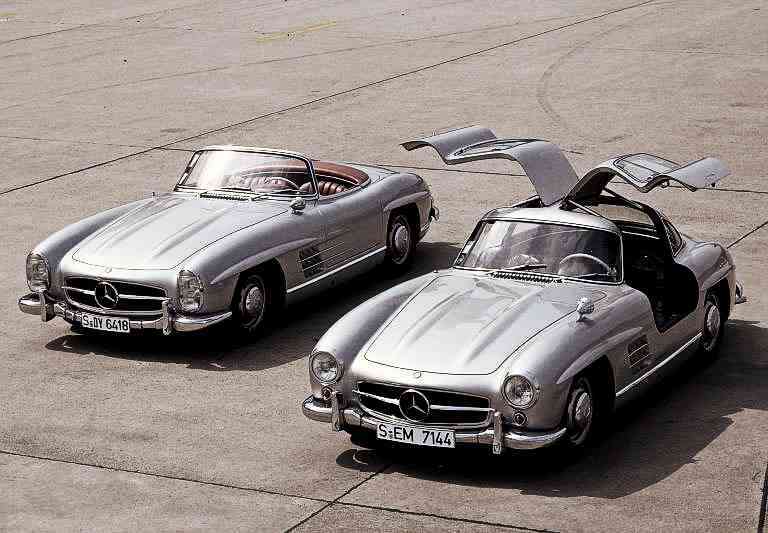 The gullwing version of the 300SL was only in production until 1957, but its mark on history was made. Nowadays it is an icon of the automotive world, one which ushered in a new era of production sports cars. Mercedes hasn't forgotten about it, either. The SL range of lightweight sports coupes and roadsters continues to this day, with the German manufacturer declaring the modern-day SLS AMG, its premium luxury grand tourer, to be the "spiritual successor" to the pretty revolutionary, the 300SL. Car enthusiasts owe you a debt, Mr Hoffman.